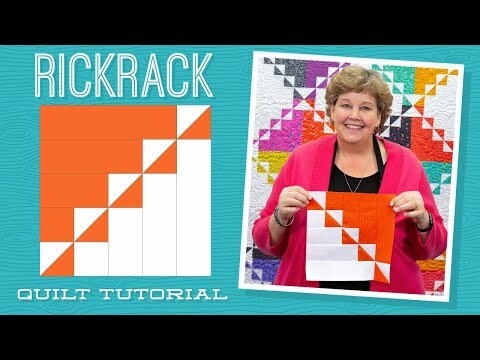 Digital Download - Rickrack Quilt Pattern by Missouri Star - Missouri Star Quilt Co. - Missouri Star Quilt Co. Remember that darling apron, trimmed with rickrack, your grandmother used to wear? This popular decoration brings back to sweet memories. Now you can adorn your quilt with a cute half-square triangle rickrack trim, just like the good old days. Start with 1 1/2 roll of your favorite printed strips and add another 1 1/2 roll of matching background strips. From there, it's fun strip piecing with half-square triangle accents.